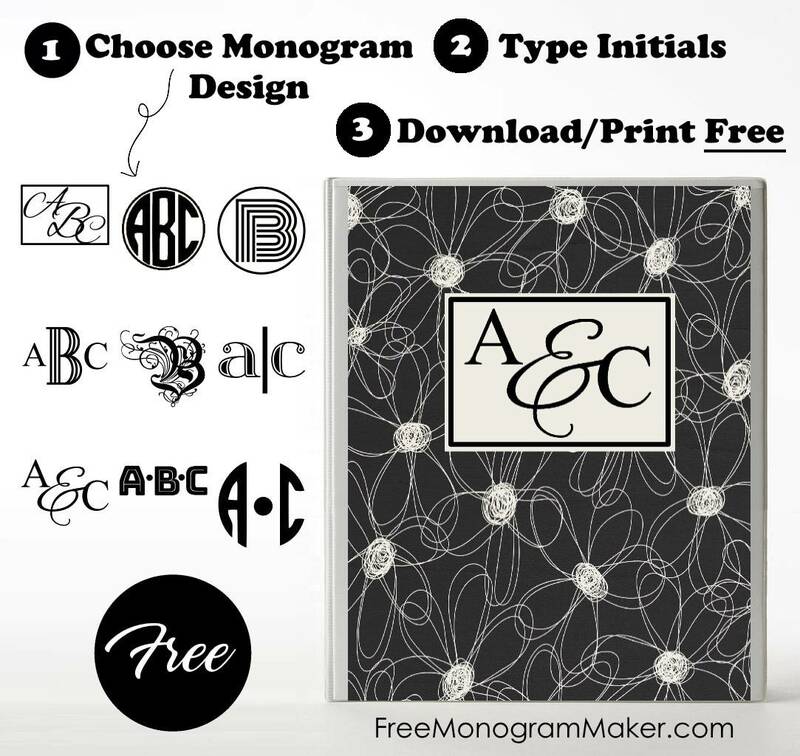 You can make a monogrammed binder cover with our free monogram maker. 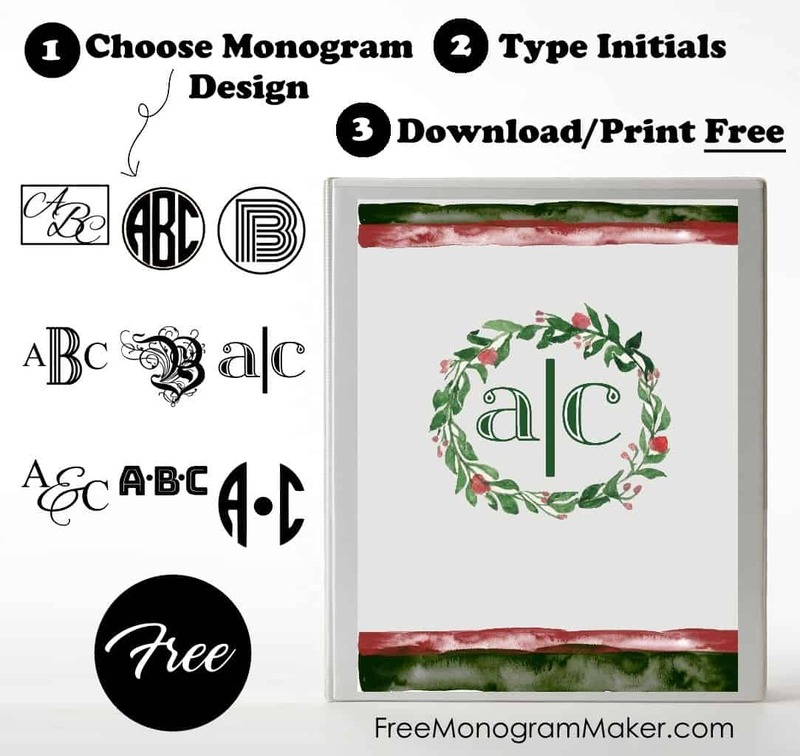 Select a template from the samples below and then select the monogram design. 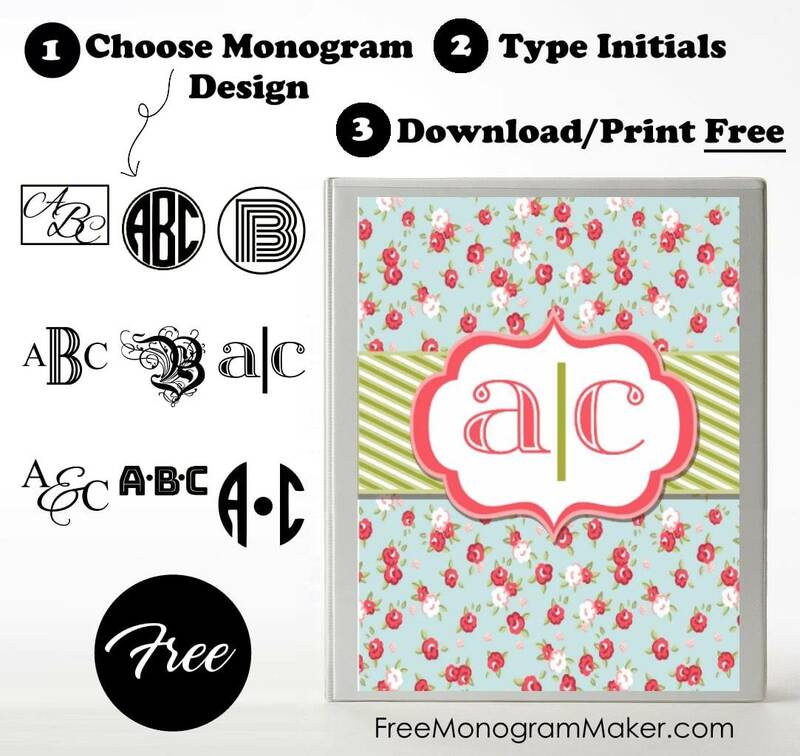 Click on it and start making your own monogram. 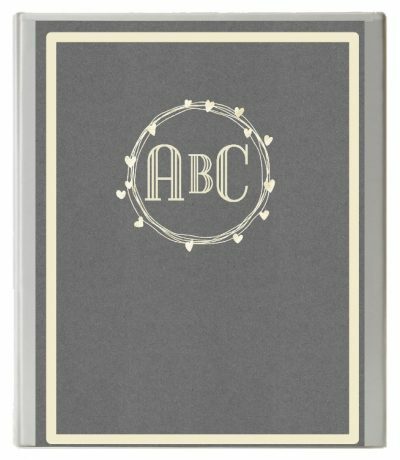 Replace the dummy letters (ABC) (for a 3 letter monogram) or A and C (for a 2 letter monogram) with your initials. Download and/or print your binder cover. It only takes about one minute to prepare! 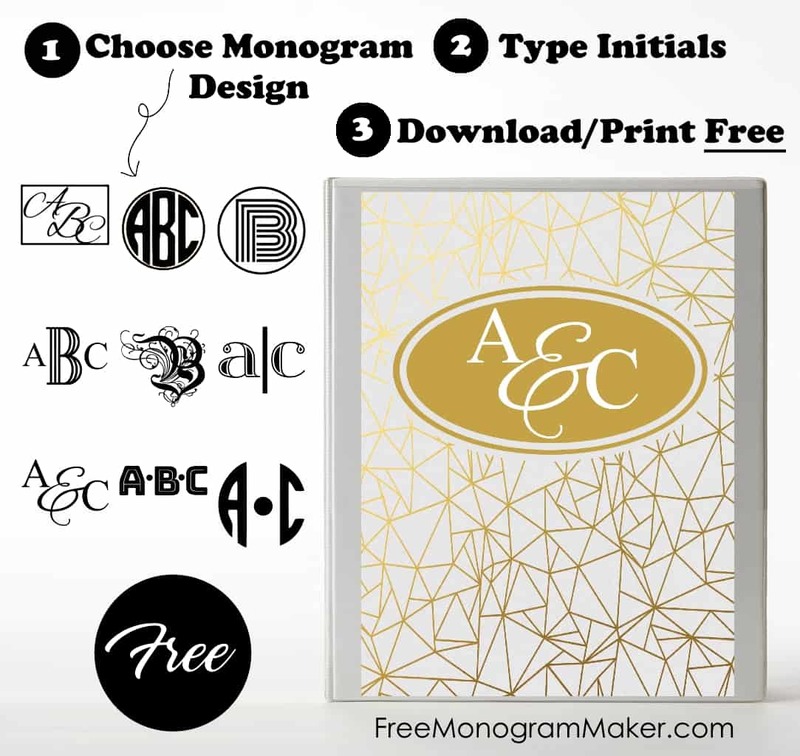 This monogram background maker can be used for other purposes too. Please note that you can change the color of the striped background. 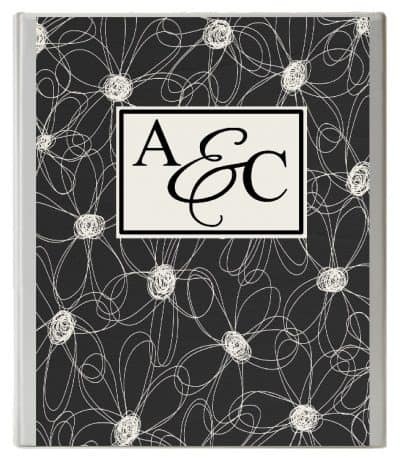 A monogram binder cover can turn a simple binder into a pretty personalized creation. It is so easy to make and we offer a wide selection of both designs and colors. There is no reason to purchase or create your own binder cover. Instead, use one of our binder cover templates and personalize it to suit your needs. You can personalize each binder cover template with your initials and even customize some of them to change the colors if you prefer another color. How do you make a binder cover? It really depends on the binder that you are using. If your binder has a transparent pocket on the front then just insert the binder cover into the pocket. If it doesn’t have one then use paper glue to adhere the binder cover to the binder. To protect the cover, you can laminate it before you use it. You can also cover the entire binder with a transparent plastic binder cover that can be purchased at most office supply stores. 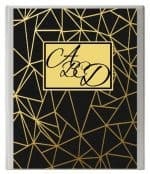 What size are the binder covers on this site? Each binder cover is 8.5 X 11 ” (US letter size) which is the perfect size to cover most binders. If your binder is smaller then just trim any of the edges with scissors or a guillotine paper cutter. Can you add text to the covers? Yes. 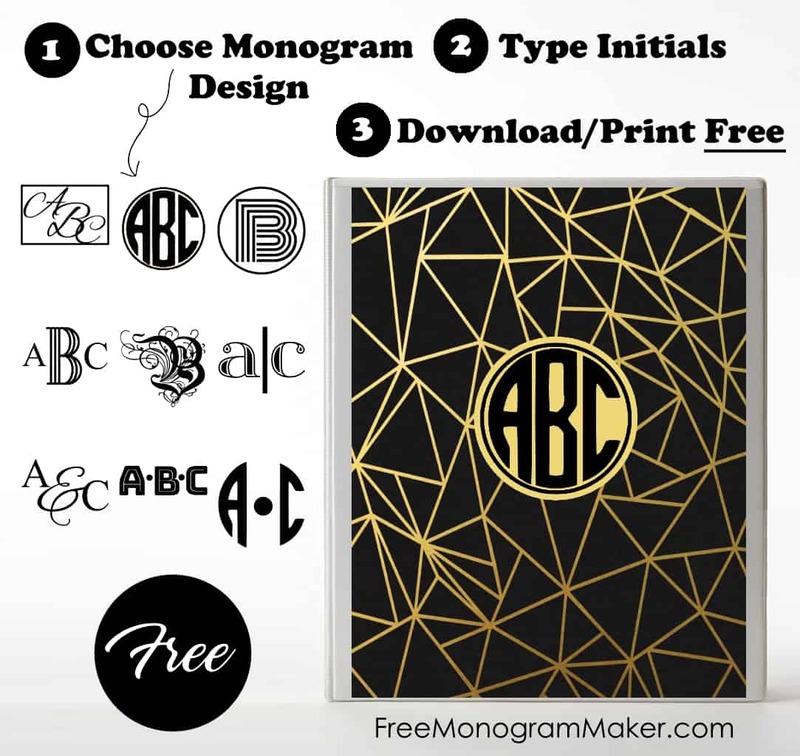 If you want to include the contents of the binder in addition to your monogram then you can just click on the “A” to add text. Once you have typed the title that you want to include then move it around until you are happy with the location. Drag it to the right to make the font larger. You can also create a coordinating spine insert. Can the covers be used for notebooks? Yes. You can use the templates as notebook covers as well. 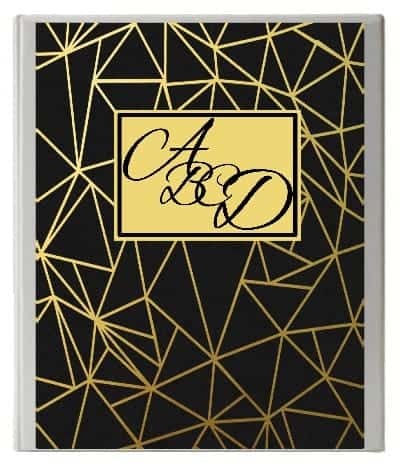 Adhere the cover to your notebook’s cover to create your own personalized notebook cover. It will turn a simple notebook into a pretty custom book. Notebooks are often smaller than binders so you might need to either decrease the size of the cover to fit your notebook (using your printer’s settings) or trim the binder cover to fit your notebook. A binder is a great solution when you want to have the ability to insert and remove documents. If you prefer to use a notebook then these covers can still be useful. Since you will not have the transparent pocket that most binders have you will probably be gluing the cover. You might want to test the glue by gluing a piece of paper to another page to ensure that you don’t get the wavy effect that some kinds of glue cause (particularly liquid glue). I find that a glue stick always gets the job done and leaves a smooth finish. 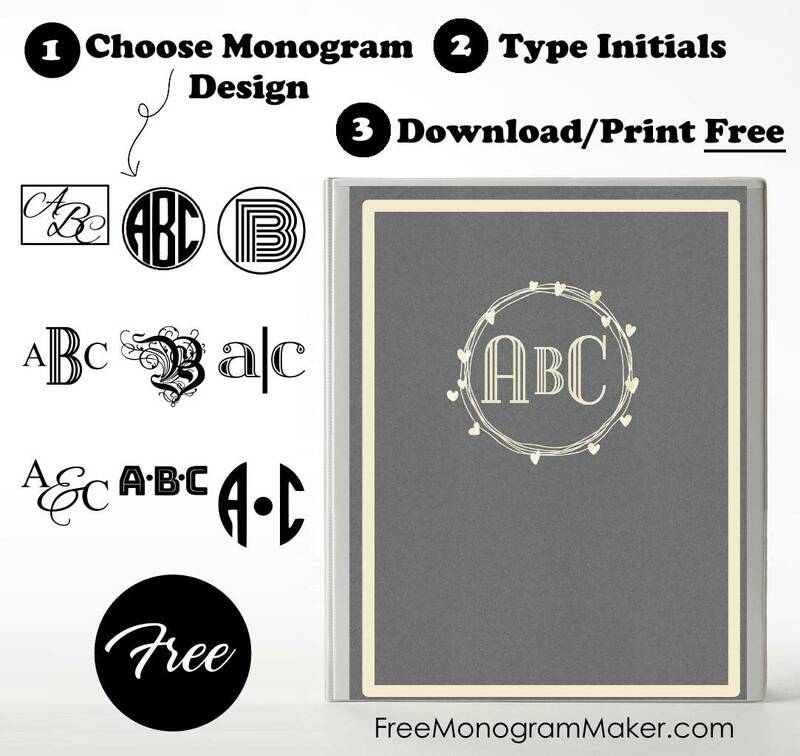 How to make a binder cover with a 4 initial monogram? Select the template that you want to use from the selection above. Then select the vine monogram font (the first option). Click on add text to add another initial. Move the initials around and make them bigger or smaller until you are satisfied with the layout. 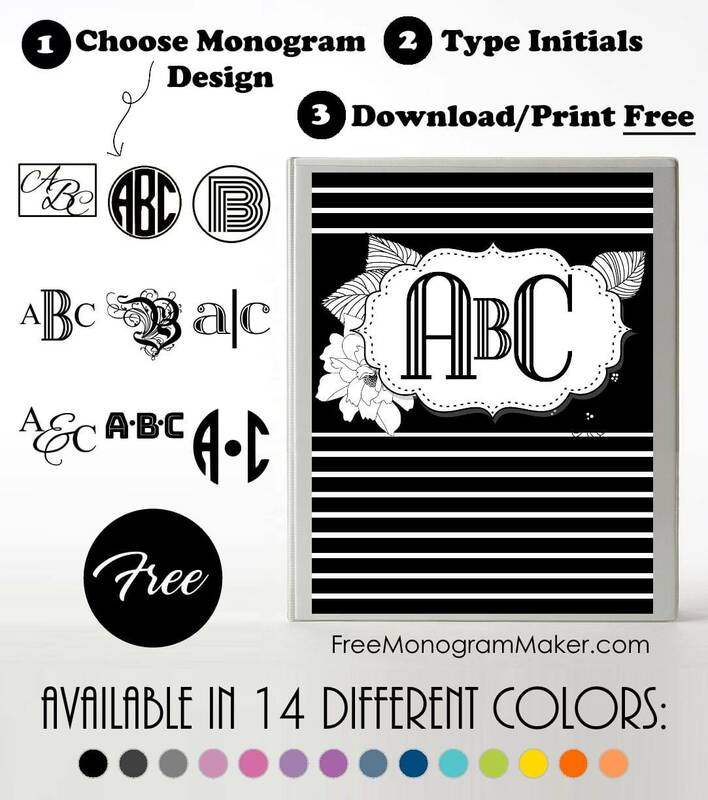 If you liked our binder covers you might also like our free monogrammed stationery!